Home »Uncategorized»Microsoft Forms – Office 365 for Business Education – HOW TO? Microsoft Forms – Office 365 for Business Education – HOW TO? Ever wondered how to create a simple form to integrate to your website, email signature or even a QR code? 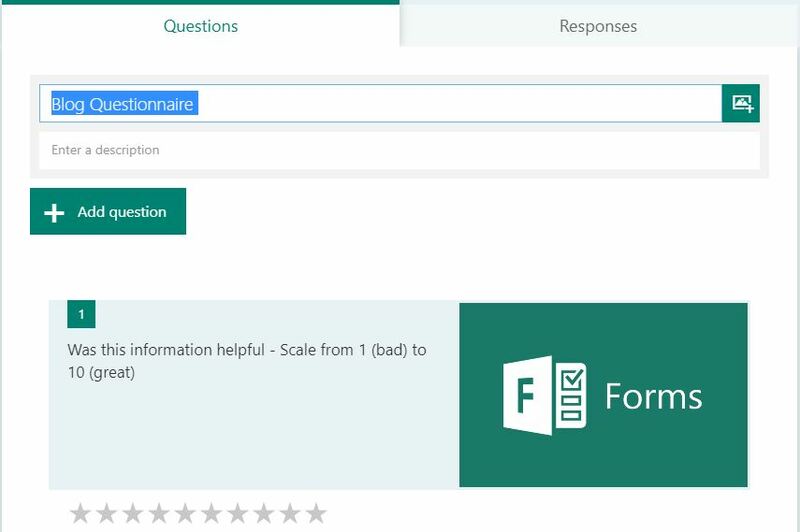 Well now its all possible with Microsoft Forms. Whilst this is a fairly new feature within Microsoft Office 365 Business subscriptions, its very simple to navigate and use with the easy interface provided. 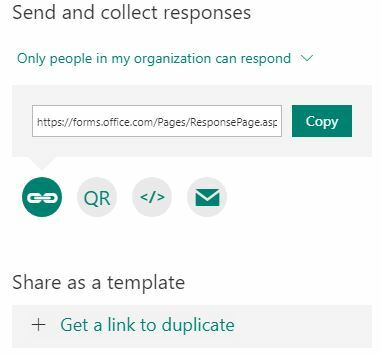 To start creating a form you will need to head to https://forms.office.com were you will be re-directed to login to your Microsoft Office 365 Business platform. After successful sign in, the Form builder will start. The Form Builder allows you to create a Simple Quiz or Form that can be fully customised to your business! Upon selecting “New Form” you will be prompted with a similar screen to “create a new form” Also allowing to create a set of interactions. In this instance below, we are using a +Add Question – With TEXT. You will notice that here you can simply add a Question and answer scenario, also the form provides an option to add a image that will link to that particular Question. 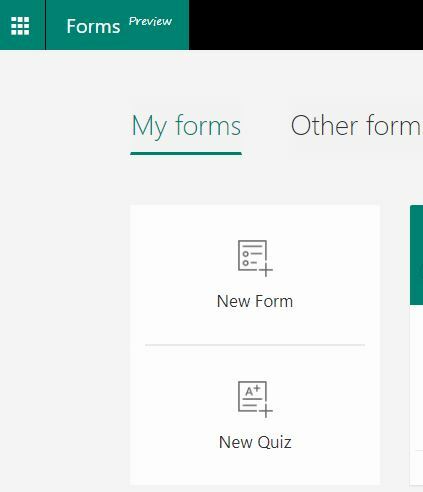 Remember that once you have created the Microsoft Form setup with the required +Add Question option, that the form can be previewed in the top right hand corner first before publishing, along with some basic theme updates to be on the creative side. Once you are ready, click on the SHARE button that is also located in the top right hand corner. The next screen will display a list of publishing options. That’s it! The basic fundamentals of how to create a Microsoft Form. ← Previous Previous post: Outlook Hangs on IMAP Server Test!